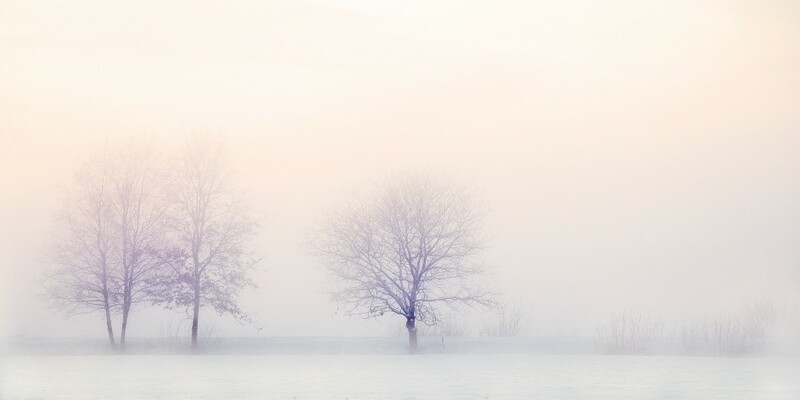 Winter Solstice is the shortest day and longest night of the year. In Chinese Medicine the short day and long night is the balancing of Yin and Yang. With Solstice, we are officially in Winter. Winter is full Yin and is cool, damp, slow, feminine and quiet as movement slows down. Our bodies naturally want to rest, reflect, conserve and store energy. Take time for introspection, rest, and conserving energy prepares for renewed growth and activity in the new year. This is the season of Yin (dark and conserving) over Yang (light and moving). Chinese Medicine sees Natures patterns, forms and seasons in our bodies and emotions. Each season is associated with an element, emotion, organ, and taste. If we are in harmony with our world, we adapt to life and stay healthy. The change from Autumn to the colder, darker days of Winter changes or emotions, and we can feel moody, depressed and lethargic. This is the time to store and conserve, much as bears hibernate or farmers prepare for winter. The more we understand the energy of Nature around us, the better our emotions will be in balance with the world. Winter is the Water element, and associated with kidneys, bladder, and adrenal glands. According to Chinese wisdom, Kidneys are the source of all energy (Ch’i), and store Ch’i for times of stress and change, to heal, prevent illness, and help aging. Kidneys govern the low back, so be mindful with the snow and cold, and conserve your Kidney Ch’i by treating back injuries quickly as they can persist in winter. This final part of the year can be filled with a hectic pace of shopping, socialising, travelling, decorating and other high energy consumption, so find time to slow down and get in sync with Natures cycles. It is important to nurture and nourish your Kidney Ch’i and keep this area warm and covered, since this energy can be easily depleted. This season also stresses the ears so cover your head and neck to fortify kidney energy. In Winter, digestion slows and heart function is at a low ebb so your circulation also slows. Sugar lowers the white blood count, so moderation is key. Watch the Holiday goodie intake! 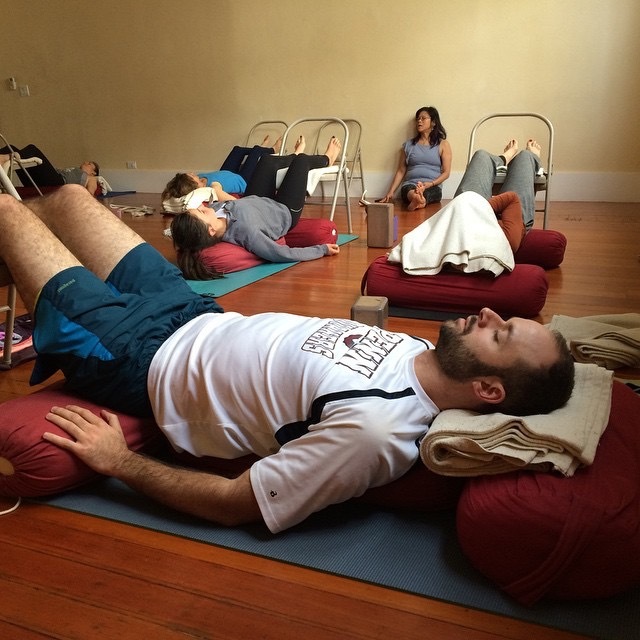 This is the perfect time to treat yourself to some Restorative Yoga to nourish your spirit. To activate digestion and keep the spine awake and healthy, infuse your Yoga practice with twists. Activate Kidney Ch’i as you twist from the belly and back body. Forward folding is another way to focus awareness inward, but make sure you keep the heart lifted in forwards bends or the practice can become melancholy, and exacerbate emotions of fear and depression in the Kidney. Chinese believe we can live in harmony with the cycles of Natures to be healthy. The cold and darkness of winter urges us to slow down, and our bodies instinctively understand the principles of winter. This is the time to reflect, replenish, and conserve energy and strength. Emphasize warming foods like hearty soups and stews, whole grains, roasted nuts, root vegetables, beans, garlic, ginger, miso and seaweed. Helps warm the core and nourishes Yin. Sleep early, rest well, stay warm, and expend less energy. Restores Kidney Ch’i. Find ways to relax and release stress on a daily basis. Include yoga, meditation, relaxation therapy or nap. Releases stress and pressures of life. Share thoughts and release emotions that are stuck or repeating, and find moments for meditation. Nourishes and strengthens wisdom/willpower. Seasonal acupuncture help tonify the organ system. Preventative treatment for body harmony. This article gives an idea how gentle and thoughtfull one can be with oneself, just relying on nature. Thanks for this reminder Cora. Yesterday I chopped 1 teaspoon of ginger and added to 1.5 cups water and let simmer for 7-8 minutes. I was surprised how good it was. I look forward to making it again tonight, especially since it’s freezing cold and snowing in Pittsburgh. This was lovely! I always enjoy these, and love learning more about TCM. Do you know anyone really good in the central Ohio area? Sometimes when I get little annoying things wrong, I just don’t want Western Medicine and their drug dependent philosophies – because, I know there are more natural treatments out there that work better! I want to work with nature as much as possible! thanks for the very useful info! i instinctively follow some of this….especially the meditation, reading/naps and foods. so many friends getting sick now! i never get sick:) but i’m not exposed to children much either, which increases the risk? !